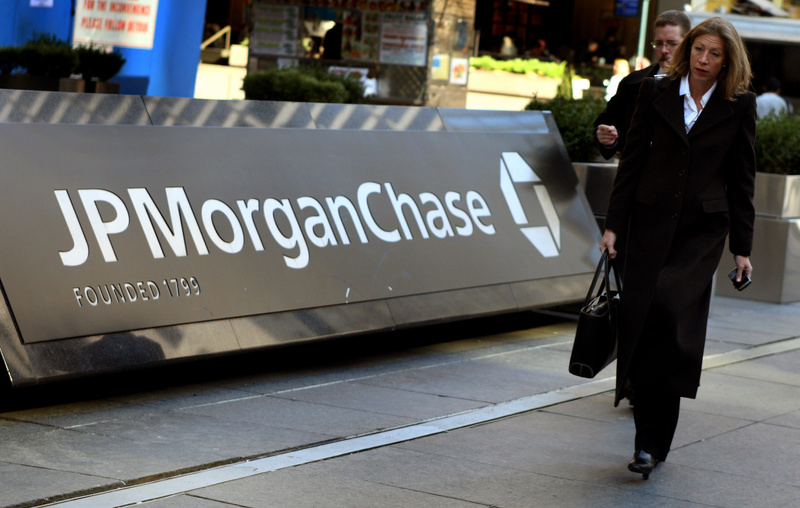 JPMorgan Chase was the Dow's biggest gainer Wednesday, jumping more than 2%. Financial shares Wednesday sparked a broad rally that sent all three major indexes to fresh multi-year highs. The Dow Jones industrial average added 83 points, or 0.7% to close at 11,755.44 - its highest level since September 2008. JPMorgan Chase was the Dow's biggest gainer, jumping more than 2%, followed by Bank of America, American Express and Boeing. The Mercedes SLS AMG E-Cell is among the electric sports cars on display at the North American International Auto Show in Detroit. Super-charged electric sports cars (video): From 0-60 in less than four seconds. Check out the 2011 ﻿Detroit auto show's hot, completely electric sports cars from Mercedes Benz, Venturi and Li-ion Motors. Gen Y car shoppers want an iPhone on wheels: Young drivers crave Bluetooth phone connections, attachments for MP3 players and voice-to-text technology so they can interact with e-mails or text messages while driving. Meanwhile, Ford gets top loyalty marks among car buyers. After holiday splurge, taste for spending returns: For nearly two years, consumers hunkered down and trained themselves to shop only for necessities. But that all seems to be changing as more and more shoppers loosen their purse strings. How a housing slump will slow the jobs train: Some economists say one key to a jobs recovery is an improvement in housing. A disproportionate amount of job creation comes from new business start-ups, which are often financed by home equity loans. Stocks rally to more than 2-year highs: Worries about Europe's debt problems spark buyers' interest early. A brighter outlook on the banking sector set off a broad rally. Check out the pros' top stock picks for 2011. 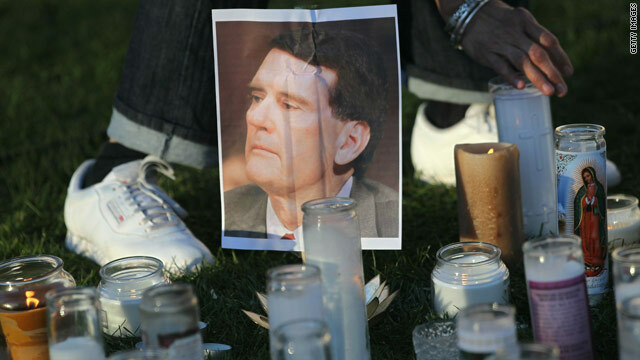 Federal judges in Arizona recused themselves from the case after Federal Judge John Roll was killed in the shooting. A federal judge from California has been appointed to preside over upcoming hearings in the case of Jared Lee Loughner, the accused gunman in Saturday's killing spree in Tucson, Arizona. Judge Larry Burns is a 2003 Bush appointee serving in the U.S. District Court for Southern California in San Diego. The next federal hearing in the case is scheduled for January 24 in Phoenix. All federal judges in Arizona have recused themselves from hearing the case after Judge John Roll, the chief federal judge in Arizona, was killed in the shooting. A handful of aid organizations in Haiti have taken on the task of reuniting children who were separated from their families. Thousands of nongovernmental organizations have been working in Haiti in the past year. They range from operations of just a few people supporting a school or orphanage to some of the largest aid groups in the world, like the Red Cross. Regardless of their size, there has been no shortage of work for them to do after the devastating earthquake. A handful of aid organizations have taken on the difficult task of reuniting children who became separated from their families. They've developed a database of information on more than 5,000 cases. In a country where accurate records of family histories were already difficult to come by, it can take months of painstaking detective work to establish a verifiable connection between a child and a living relative. 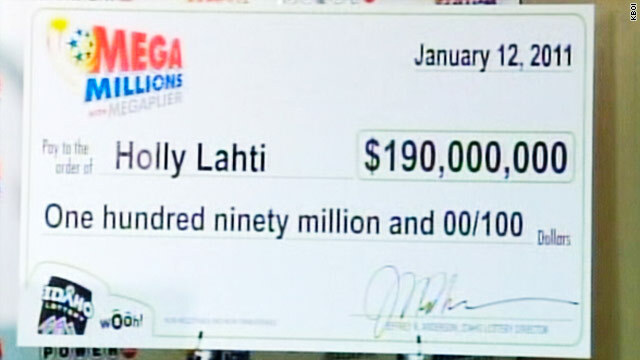 The Idaho State Lottery office announced that Holly Lahti of Post Falls, Idaho, won $190 million dollars in last weeks Mega Millions drawing. She is one of two winning ticketholders who is splitting the jackpot. The other winner is Jim McCullar of Ephrata, Washington, who stepped forward last week to claim his half of the $380 million prize. Lahti officially claimed the prize yesterday, an Idaho State Lottery spokesman said, adding that Lahti did not want to address the media at this time. She did not appear at the press conference to announce the winner. "She has indicated that she may be willing to speak to the media when she has her affairs in order," the spokesman said. 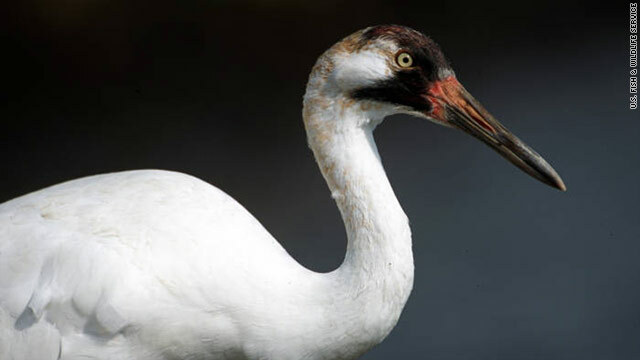 Only about 400 whooping cranes exist in the wild, the U.S. Fish and Wildlife Service says. Three endangered whooping cranes were shot to death in southern Georgia, wildlife officials say. The three dead birds were found and reported by hunters near Albany, Georgia, on December 30, according to a release from the U.S. Fish and Wildlife Service. 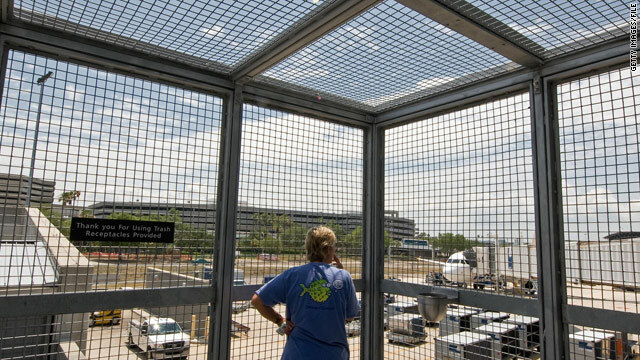 The cranes, which were banded and fitted with radio transmitters, were part of a group of five that were migrating to Florida together, the service said. They had last been tracked 20 days earlier in Hamilton County, Tennessee. 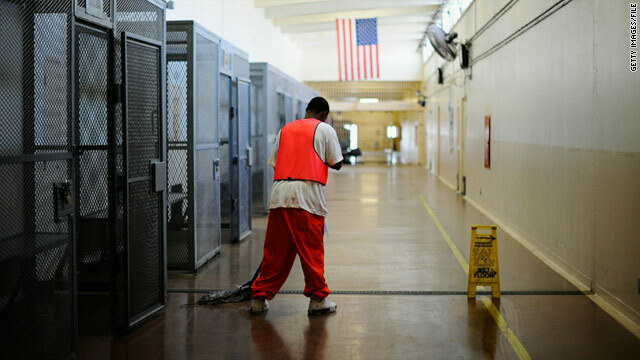 Illinois could become the next state to eliminate its death row. Illinois' state Senate voted Tuesday night to abolish the death penalty. The state House passed the bill last week. Gov. Pat Quinn, a Democrat, has not said whether he will sign the legislation into law, but while campaigning last year, he said he supported "capital punishment when applied carefully and fairly," the Chicago Tribune reported. Cook County State's Attorney Anita Alvarez said the death penalty is "a deterrent to violent crime in the most heinous of cases" that should be available, particularly "when we have witnessed outrageous crimes such as the senseless murder of five Chicago police officers this past year," the Tribune reported. Filed under: Crime • Death Penalty • Illinois • Justice • U.S.
LeBron James apparently is not one to forget what Cavaliers owner Dan Gilbert said on James' way out last summer. When LeBron James made "The Decision" on national television over the summer, it was met with an uproar, was deemed a public relations nightmare and alienated a city that once adored him. Six months later, LeBron's made-for-TV special is long gone, but the NBA superstar is still publicly making ill-advised decisions that are turning plenty of heads. Shortly after the Los Angeles Lakers annihilated the Cleveland Cavaliers 112-57 last night, LeBron took to Twitter to vent a little frustration and kick his former team while it was down. "Crazy. Karma is a b****. Gets you every time. Its (sic) not good to wish bad on anybody. God sees everything!" he tweeted. The tweet was pointed at the Cavaliers and his doubters, particularly Cavs owner Dan Gilbert, who infamously penned a ranting letter to Cavs season-ticket holders badmouthing LeBron shortly after he bolted for Miami last summer. Among the many insults and promises Gilbert launched at LeBron was the claim that "bad karma" would catch up to the star. If that's true, it has yet to take effect. 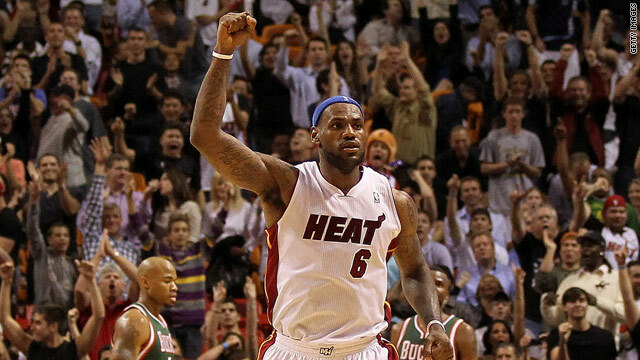 After a slow start, Miami has won 21 of its past 22 games and owns the Eastern Conference's best record at 30-9. The Cavs, on the other side of the spectrum, have lost 21 of their past 22 games and 11 straight, including last night's embarrassment in Los Angeles. Cleveland coach Byron Scott said his team looked "scared to death" in the 55-point blowout, and his team's 57 points marked the fewest scored against the Lakers in the shot clock era. The game caught most of the league's attention, including LeBron's. SI.com's Zach Lowe breaks down the tweet and gives his take on LeBron's latest public relations nightmare. No. 5 Pittsburgh at No. 22 Georgetown (7 p.m., ESPN): Georgetown looks to avoid its third consecutive loss. Pittsburgh has won five straight since losing to Tennessee on Dec. 11. No. 18 Louisville at No. 7 Villanova (7 p.m., ESPN2): Another ranked Big East battle pits the Wildcats, winners of 10 in a row, against the Cardinals, whom they defeated 92-84 in last season's lone matchup. Oklahoma City Thunder at Houston Rockets (8:30 p.m., NBATV): Coming off a 40-point performance, Kevin Durant and the Thunder look to avenge an early season loss to the Rockets tonight in Houston. 601: Games saved by retiring closer Trevor Hoffman, 43, the most in baseball history. SI.com's Joe Lemire recalls the future Hall of Famer's 18-year career. 50-50: Chances Carmelo Anthony ends up a New York Knick, according to a source in the New York Daily News. Last night, 'Melo guaranteed he would still be with the Nuggets come Thursday, when the Miami Heat come to play. 113: Hits Eagles quarterback Michael Vick was exposed to in just his final two games of the season, according to SI.com's Peter King. 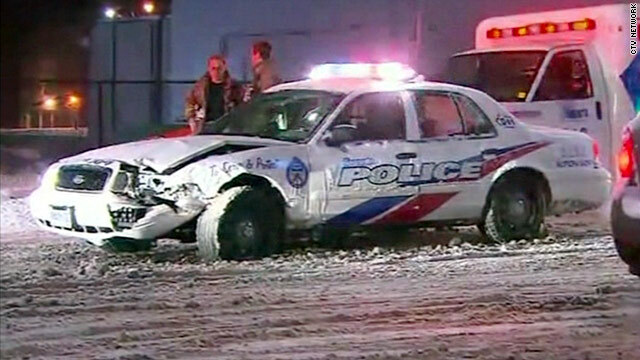 A man took a stolen snow plow on two-hour rampage through the streets of Toronto, Canada, Wednesday morning, killing a police officer and wrecking cars and a car dealership. Police said the suspect stole the privately owned plow in downtown Toronto about 5:30 a.m., according to a report from CTV news. Police Sgt. Ryan Russell, 35, was struck by the plow and pinned against his cruiser when he tried to stop the truck about a half-hour later, according to news reports. He died in a hospital emergency room. The suspect hit numerous vehicles as he continued through the city’s streets for another half-hour or more, and rammed the plow into a Ferrari dealership, according to news reports. 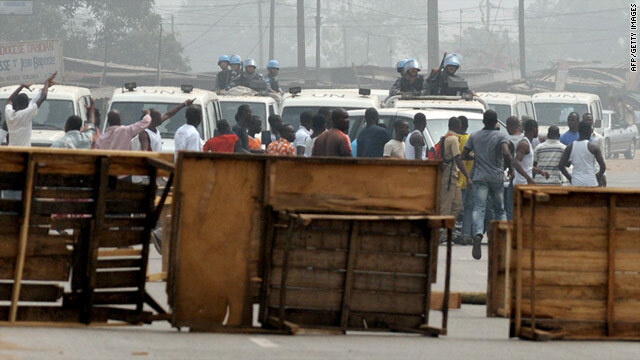 Residents and barricades block U.N. peacekeepers in the Ivory Coast. Three United Nations peacekeepers were shot and injured Tuesday night by the forces of self-declared President Laurent Gbagbo, the U.N. operation in Ivory Coast said in a statement on Wednesday. The peacekeepers were returning from a patrol when they were shot, the U.N. operation said. The shootings came a day after the United Nations Security Council condemned the violence that has erupted since the country's November 28 presidential runoff election and "urged all parties to exercise restraint." The nation was plunged into crisis when an independent commission declared Alassane Ouattara the winner of the election, but incumbent Gbagbo refused to leave office. The United Nations and an increasing number of countries have recognized Ouattara, a former prime minister, as the rightful winner. 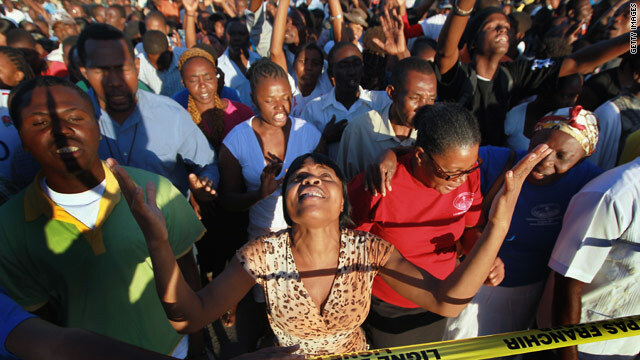 Haitians attend a prayer service near the presidential palace in Port-au-Prince, Haiti. Wednesday marked the first anniversary of the earthquake that changed the face of a nation. More than 200,000 people perished last January 12 when the earth shook violently for a few seconds. Houses toppled, swallowing residents alive. Government offices and landmark buildings, including the Notre Dame cathedral, came tumbling down. Five days ago, three more bodies were pulled from the rubble in central Port-au-Prince. Haitians still come to pray at the cathedral every Sunday. On this day, the crowds overwhelmed the small park in front. People embraced one another and cried openly. There was no reason to hide the sorrow that pervades their lives every day. In one neighborhood, a man woke up residents as he walked through the streets at dawn. He carried a Bible and recited prayers. 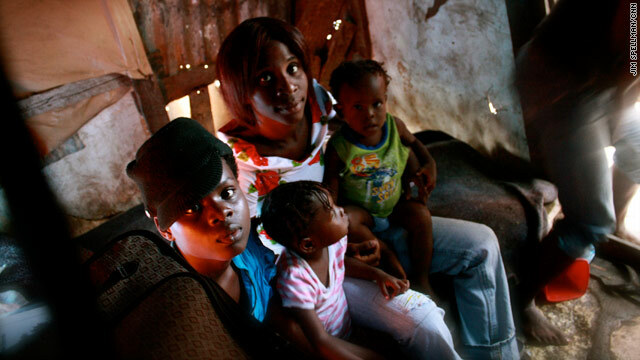 Faith is all that many Haitians have left. 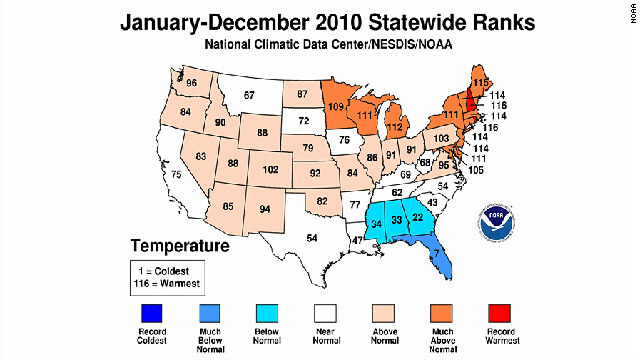 A NOAA map shows the 2010 average annual temperature ranks by state. NOAA says 2010 tied with 2005 as the warmest year of the global surface temperature record, beginning in 1880, according to new posting on NOAA.gov. "This was the 34th consecutive year with global temperatures above the 20th century average," the post said. "For the contiguous United States alone, the 2010 average annual temperature was above normal, resulting in the 23rd warmest year on record." Sarah Palin has spoken out against those trying to place blame for Arizona shootings. Sarah Palin spoke out on the Arizona shootings Wednesday, calling the events "tragic" and sharply chastising those who have suggested charged rhetoric from her and others on the right may have motivated the killings. "Like many, I've spent the past few days reflecting on what happened and praying for guidance. After this shocking tragedy, I listened at first puzzled, then with concern, and now with sadness, to the irresponsible statements from people attempting to apportion blame for this terrible event," Palin said in a video posted on her Facebook page. "Acts of monstrous criminality stand on their own. They begin and end with the criminals who commit them, not collectively with all the citizens of a state, not with those who listen to talk radio, not with maps of swing districts used by both sides of the aisle, not with law-abiding citizens who respectfully exercise their First Amendment rights at campaign rallies, not with those who proudly voted in the last election," the former Alaska governor said. Palin's statements come in the wake of suggestions from some Democrats and media commentators that her political rhetoric over the last year may be linked in some way to the shooting Saturday that left Democratic U.S. Rep. Gabrielle Giffords in critical condition. Some critics have cited a Facebook posting by Palin last march that placed a crosshair over several Democratic-controlled congressional districts, including that of Giffords. Palin also tweeted at the time: "Commonsense Conservatives & lovers of America: "Don't Retreat, Instead - RELOAD!" But in her statement Wednesday, Palin said any effort to connect statements by her or others to the shootings amounts to a "blood libel." 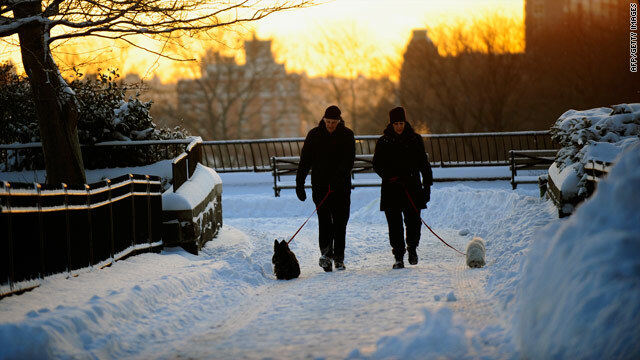 Snow blanketed New York during the second major storm of the season. A series of snowstorms that blanketed much of the country and left more than 1,700 flights canceled at the New York area's three major airports Wednesday also brought slippery road conditions for travelers weary of winter weather. The storm pounded Boston, canceling fights and schools, as officials issued blizzard warnings across the region. Forecasters said snow accumulation could reach up to 24 inches in Connecticut and Massachusetts. 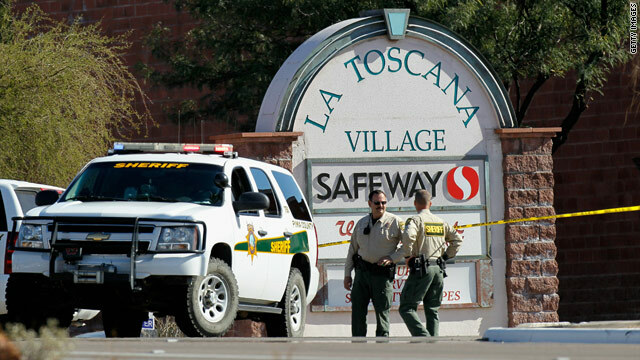 Twenty people were shot Saturday outside a Safeway grocery in Tucson, Arizona. Mary Reed's 17-year-old daughter, Emma, was a congressional page last summer for Gabrielle Giffords but never got a picture with her. So Reed and her daughter went to the constituent event at a Safeway in Tucson, Arizona, on Saturday, hoping for a photo opportunity. Suddenly, gunfire broke out, and Reed was struck in the left arm. She pinned Emma to a wall to protect her and then took two more bullets in her right arm and back. "He was literally going to have to go through me, and that wasn't going to happen," Reed told CNN affiliate KPHO. Reed, who is recovering at home, is more concerned now with the psychological scars than the physical ones. 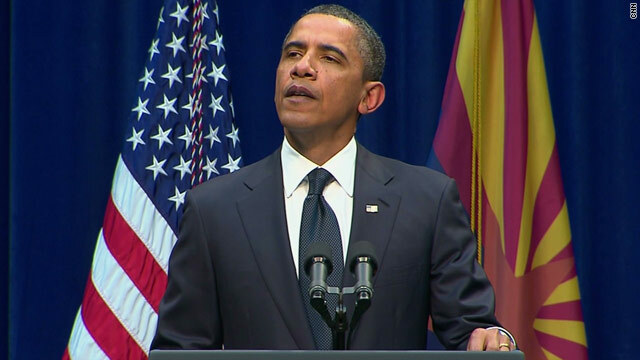 "My children had to witness people being killed, people dying right by them, blood everywhere. It's a very hard thing to acknowledge that's what my children had to experience," she told KPHO. 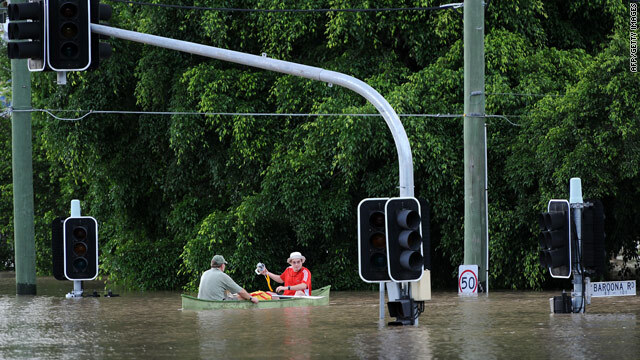 Residents use a boat to cross a street in Brisbane, Australia as water levels rise. Anxious Brisbane residents scooped up flashlights and batteries, raided grocery store shelves for supplies and carted valuables away from the reach of rising waters Wednesday as the region prepared for what the Queensland premier described as "the worst natural disaster in our history." A wave of water was sweeping through the city's main river system and the prediction was ominous. The Brisbane River, which cuts through the city center, was expected to rise beyond the record set in 1974 when it broke its banks, flooding more than 6,000 homes and killing 14 people. 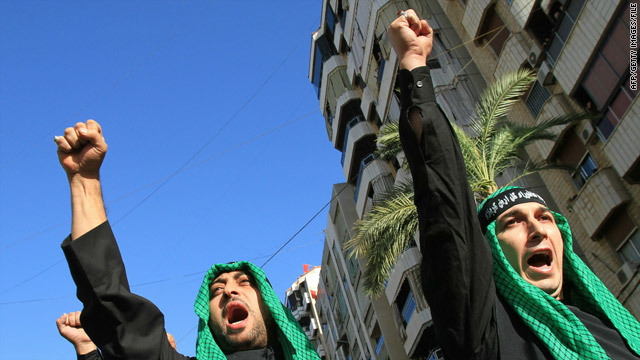 Hezbollah supporters march in southern Beirut last month during Ashura commemorations. [Updated at 11:13 a.m.] Lebanon's unity government collapsed Wednesday after Minister of State Adnan Sayyed Hussein turned in his resignation, the 11th Cabinet member to do so. [Posted at 10:26 a.m.] Members of the powerful Hezbollah movement and its allies resigned from Lebanon's unity government Wednesday, raising fears of renewed political crisis in the region. As the Lebanese government faced collapse, Prime Minister Saad Hariri was meeting with President Barack Obama at the White House. It would take 11 resignations in the 30-member Cabinet to dissolve Hariri's unity government. The opposition bloc, known as the March 8 Alliance, has 10 members. It's not clear whether an 11th member would join with the other 10 to dissolve the government. Lebanon's government has been at an impasse over the United Nations-backed tribunal's investigation of the assassination of Rafik Hariri, the current premier's father. It is widely expected the tribunal will indict members of Shiite Muslim Hezbollah, which is designated as a terrorist organization by the U.S. State Department. Hezbollah has blamed Israel for the 2005 bombing that killed Hariri and has pressured the government to denounce the tribunal's probe. Opposition member Fadi Abboud said the opposition bloc had been calling for a Cabinet session to discuss the tribunal and met Wednesday to discuss what action to take. Attempts to resolve the dispute have failed so far. Michel Aoun, a Christian member of parliament who heads the Free Patriotic Movement, said a Saudi-Syrian initiative had reached a dead end. At least 10 people died on Tuesday as the fallout from Ivory Coast's disputed election worsened. At least five police officers were killed Tuesday night in what authorities said was a targeted attack in an Abidjan neighborhood, a police source said Wednesday. The attack by heavily armed gunmen occurred in the densely populated Abobo area of the city, the source said. Amnesty International issued a statement warning of a fresh outbreak of violence in the wake of the five deaths, which it said happened early Wednesday. 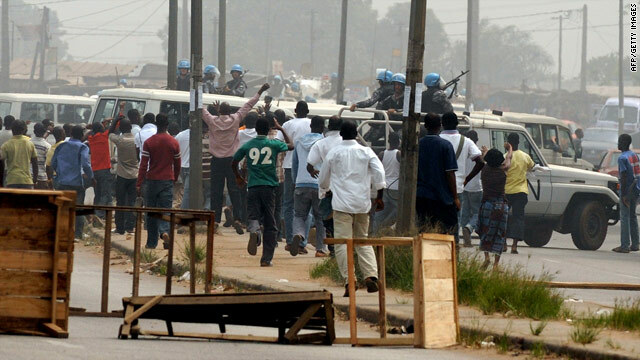 "Some of the worst armed clashes so far broke out in the city of Abidjan today," the organization said. An unnamed eyewitness told Amnesty International they heard "heavy exchanges of fire" around midnight, the statement said, and this morning they saw "three military vehicles burnt out" and the body of a member of the security forces. Tuesday, five people were killed in clashes between police and supporters of the nation's president-elect amid an ongoing political standoff in the West African nation.